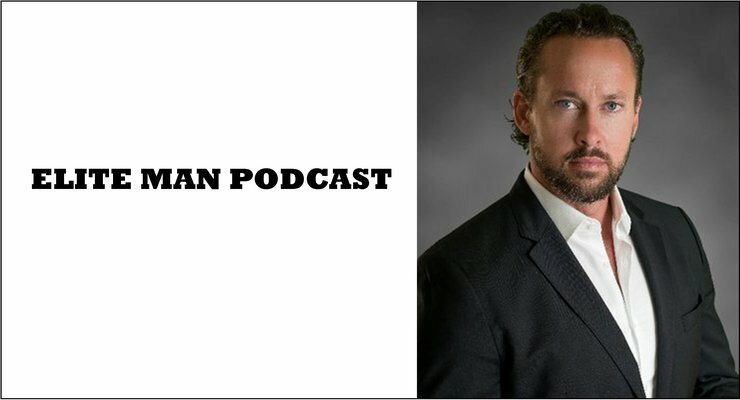 Brent Gleeson, Navy Seal combat veteran, motivational speaker, leadership coach, and author of the new bestselling book Taking Point, joins our show in this special episode of the Elite Man Podcast! In today’s episode Brent talks about his life in the Navy Seals and the critical life lessons he learned while in this elite military branch. 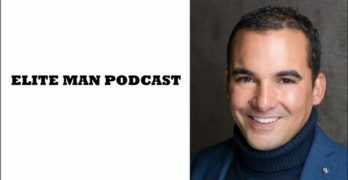 He shares his struggles, his triumphs, and a few crazy stories during his time as a Navy Seal, and helps us understand the key aspects needed to survive such a grueling profession. Perhaps most importantly of all, Brent gives us a step-by-step breakdown of how to become a great leader and successfully lead through any change. 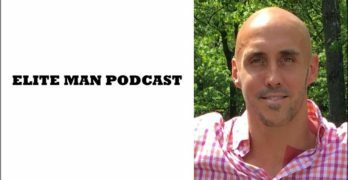 If you’re wondering how you can become a great leader in your own life, how to improve your mental resolve in adverse conditions, and how to cultivate a badass Navy Seal way of thinking, check this episode out now! *Download this episode now and subscribe to our channel to get more of these amazing interviews! * The Elite Man Podcast is sponsored by Health IQ, an insurance company that helps health conscious people like runners, cyclists, weightlifters and vegetarians get lower rates on their life insurance. Go to healthiq.com/elite to support the show and see if you qualify. Health IQ uses science & data to secure lower rates on life insurance for health-minded individuals. 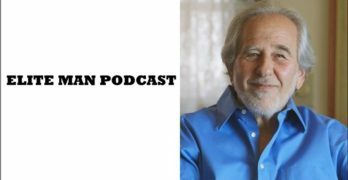 You, being an Elite Man Podcast listener are almost certainly among those health-conscious people! That’s why you should really listen up. Health IQ can save customers up to 33% because physically active people have a 56% lower risk of heart disease, 20% lower risk of cancer, and a 58% lower risk of diabetes compared to people who are inactive. So they reward you for being active and taking care of yourself. How cool is that!? Look, you never know what’s going to happen, especially if you’re married, have children, or you’ve had personal scares, or family members dealing with health issues. This is something you definitely cannot take lightly. It’s so important to make sure your loved ones are kept safe no matter what. And Health IQ helps you do that! It’s the fastest growing life insurance company in the world with over 5 billion in coverage and they’re rated 9.6 out of 10 by Trustpilot! Do yourself and your family a huge favor and check out Health IQ! To see if you qualify for an incredible savings of up to 33%, get your free quote today at healthiq.com/elite or mention the promo code “elite” when you talk to a Health IQ agent. Again that’s healthiq.com/elite! * Can healthy be delicious? With Sun Basket, the answer is yes. Forget terrible protein shakes and flavorless diet food! Start cooking fresh, healthy, and delicious meals with organic produce, healthy, antibiotic-and-hormone-free meats, pastured, organic eggs, and fresh, wild-caught seafood, only with Sun Basket! Sun Basket is perfect for anyone who wants to eat healthier, isn’t the greatest cook in the world (like me), doesn’t want to have to shop around or look for difficult recipes to put together, and most importantly, for those who LOVE eating great-tasting food! Each week they deliver fresh, pre-measured ingredients and easy-to-follow recipes directly to your door in an insulated box from the meals you choose to try on their site. Everything is set up and done for you, you just have to cook it and eat it! How cool is that!? I got to try some of their meals recently and I have to say, I was really, really impressed. I tried out their Thai chicken recipe, their Moroccan chicken recipe, and their pepper and onion-smothered steak with citrus salad recipe, and they were all tasty as hell! The best part is, I made it all myself in about half an hour, and it was incredibly easy. Trust me, I’m a terrible cook, but even I couldn’t mess this up! If you’re like me and you want to try a mouth-watering and nutritious meal that’s really easy to make, go to SunBasket.com/Elite today to learn more and get $35 off your first order! That’s SunBasket.com/Elite for $35 off your order. Sunbasket.com/Elite. * Have you tried a Casper’s sleep product yet? If not, check it out now! Casper is a sleep brand that makes expertly designed products to help you get your best rest, one night at a time. Casper products are cleverly designed to mimic human curves, providing supportive comfort for all kinds of bodies. The experts at Casper work tirelessly to make a quality sleep surface that cradles your natural geometry in all the right places. The original Casper mattress combines multiple, supportive memory foams for a quality sleep surface with the right amounts of both sink and bounce. They also have a breathable design that helps you sleep cool and regulates your body temperature throughout the night. With over 20,000 reviews and an average of 4.8 stars across Casper, Amazon, and Google, Casper is becoming the Internet’s favorite mattress. You spend one third of your life sleeping, so you should definitely be comfortable. With hassle-free returns if you’re not completely satisfied, you can be sure of your purchase with Casper’s 100 night risk-free, sleep-on-it trial. Act now and get $50 toward select mattresses by visiting Casper.com/Elite and using the promo code “Elite” at checkout. Terms and conditions apply. Again, that’s Casper.com/Elite and use the promo code “Elite” at checkout! Justin Stenstrom is a nationally-acclaimed life coach, author, entrepreneur, and speaker. 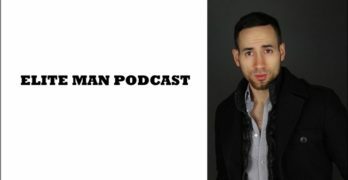 He is the Editor-in-Chief of EliteManMagazine.com, the founder of Elite Life Nutrition, and the host of the Elite Man Podcast, where he interviews some of the best self-help experts in the world, including guests like Robert Greene, Grant Cardone, Dr. John Gray, Bas Rutten, Dr. Dale Bredesen, Kevin Harrington and many others. Once anxious, insecure, depressed, and unhappy, Justin’s overcome many of life’s greatest obstacles and loves nothing more than helping others do the same! For a complete bio on Justin click here. Copyright © 2017. EliteManMagazine.com. All Rights Reserved.